Blood collection tubes are specially designed for collection of blood samples for specific applications. These tubes contain color coded vacuum based-rubber stoppers allowing for injection of the collected sample. The color of the cap denotes the type of additives coated in the tube for specific downstream applications for e.g. red color denotes the presence of sodium citrate, a clot activator for easy collection of serum. These tubes are portable and allow for easy storage of blood samples. The type of tube must be carefully chosen. 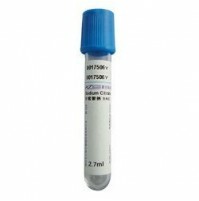 Labekart.com specializes in high quality blood collection tubes offering a wide range of brands, sizes and types!